Bonds include three (3) parties; The Principal, the Surety (Company) & the Obligee. A bond is a three party agreement whereby the surety guarantees the faithful performance of the principal to the obligee. Insurance includes two (2) Parties, the Insured & Insurer. The insurance company pays the insured directly for losses incurred. A bond premium is more of a service charge to cover expenses for weeding out unqualified risks and for handling the transaction. Insurance premium covers losses and expenses. 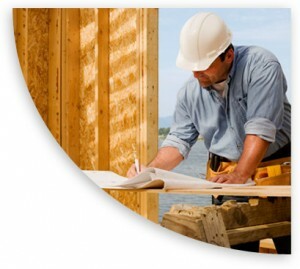 The Surety takes only risks that are qualified and safe risks. Insurance losses are expected therefore, the rates are adjusted to cover the losses and expenses. The surety (Company) is lending its name which it wants returned untarnished after the obligation is performed. In case of a claim, the surety expects to collect from the the principal (Bond Holder). Sureties Are Selective Risk Takers. Sureties Cannot afford to write every risk, therefore need to be selective. Insurance Companies Write Most Risks. Insurers try to write most everything, thus letting the volume of business cover the risk. DISHONESTY BONDS: A business owner returned from vacation to find his bookkeeper was gone. So were several thousand dollars in embezzled company funds. The bookkeeper was later arrested, but not before he’d spent all the money. Fortunately, the business owner was covered with an employee dishonesty bond. Employee Theft is a REALITY. JANITORIAL SERVICE BONDS: As the owner of a cleaning service you’ve come to expect it. When one of your clients discovers something’s missing, the immediate suspects are your employees. Fair or not. There’s not much you can do about human nature. But YOU CAN PROTECT YOURSELF from its consequences. PROBATE–FIDUCIARY BONDS: A fiduciary is a person who manages the affairs and funds of another who is otherwise in a position of trust. A probate bond guarantees that the fiduciary will fulfill the duties he assumes by accepting the position. It is required in connection with the estates of deceased persons, incompetents, and minors. It guarantees an honest accounting and faithful performance of duties. PERSONAL REPRESENTATIVE–ADMINISTRATOR–EXECUTOR BONDS: An administrator is a fiduciary that the court appoints to conduct the affairs of an estate of someone who has died without a will. If there is a will, the will names an Executor to perform these duties. GUARDIAN BONDS: A guardian bond protects a person deemed incapacitated by the court to ensure the guardian does not mismanage or embezzle from the ward’s estate. Guardian bonds generally remain in force for a longer period than Administrator bonds or Executor bonds. LEGAL CUSTODIAN BONDS: Required by the Department of Veterans Affairs. The primary function of the Legal Custodian is to manage the money of the ward that is received from the Department of Veterans Affairs. In general Relatives of the deceased or incapacitated person are typically appointed as the fiduciary. ERISA BONDS: ERISA requires every fiduciary of an employee benefit plan and every person who handles funds or other property of the plan to be bonded. The ERISA bond amount must be at least 10% of the plan assets. Generally it is a bond designed to protect our valuable employee benefit plans. We encourage you not to wait until it is too late and you are in need of a bond. Protect yourself early by simply calling our office.